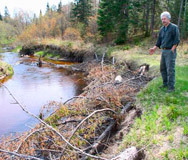 Ecological Restoration | JZ Environmental Consultants, Inc.
JZ Environmental Consultant’s team of experts has years of experience in renewing and restoring damaged ecosystems and habitats. 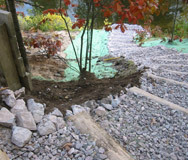 Our experts utilize a variety of techniques to restore a damaged site to its original condition. We have been called, on many occasions, to restore an area in the aftermath of an unplanned event. From an emergency utility repair to a construction mishap, our response is rapid and our work is precise.